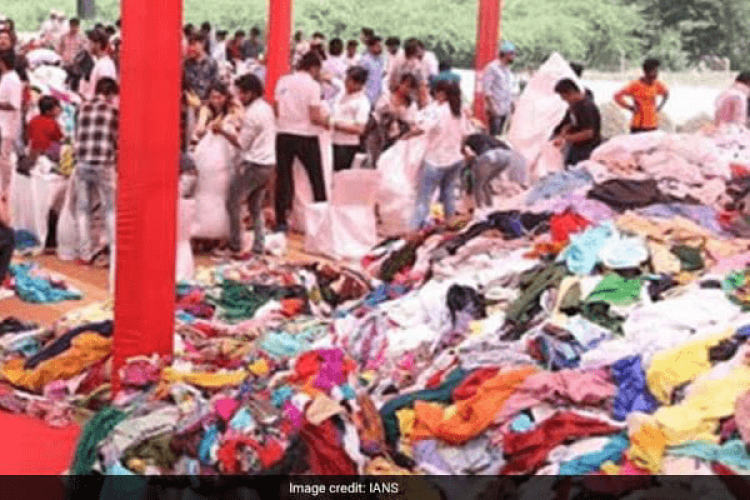 A press release claimed that after donating over 3 lakh clothes in a campaign by a royal family of Udaipur, it has entered Guinness World Record. This is the largest ever collection of clothes for donation. On Sunday, Lakshyaraj Singh Mewar, a descendant of Rajput ruler Maharana Pratap, for his collection of 3,29,250 clothes has got a certificate from an official of the Guinness Book of World Records-UK at Udaipur.